What comes to your mind upon hearing the word ‘Opera’? Most will think of opera as the performing arts. Some will visualise the Sydney Opera House. However, many regular customers of Patisserie Yahagi, at Church Corner Mall in Upper Riccarton, will imagine the Opera Cake. Fast forward seven years and the only question that her customers ask is, “Can I have your award-winning Opera?” Her exquisite Opera even won the Gold Award, winning in the Café Dessert Section of New Zealand Bakery of the Year in 2010 – and they can easily be enjoyed along with other award-winning cakes that await at Patisserie Yahagi. 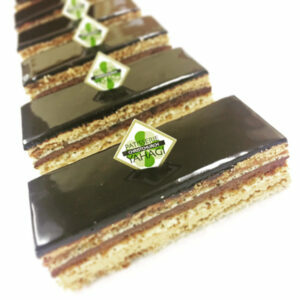 If cake lovers have never tried Patisserie Yahagi’s Opera Cake, they have been missing out on a great opportunity to step into the Christchurch Opera House!